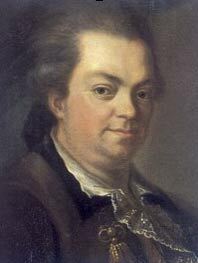 Count Alessandro Cagliostro is considered to be one of the greatest figures in the occult world, being well practiced in alchemy, scrying, psychic healing and other forms of magic, as well as being a devout Catholic. He was born to a poor family as Giuseppe Balsamo in Palermo, Sicily in 1743. During a troubled childhood, Cagliostro was sent to a Benedictine monastery where it was discovered that he had a great talent for medicine and chemistry. He eventually ran away and fell into bad company, during which time he convinced many people, including many practicing alchemists, that he was able to transmute metals and create gold. Cagliostro took to travelling the world, visiting Egypt, Greece, Persia, Rhodes, India and Ethiopia and studying any occult and alchemical knowledge that he could find there. At the age of 23 he left for Malta where he was initiated into the Order of the Knights of Malta. While there, he studied alchemy, the Kabbalah and other profound occult secrets. In 1768 he returned to Italy where the newly self styled Count was accused of fraud and other crimes, but later married the beautiful Lorenza Feliciani, known as Serafina. Then, around 1769 he and Serafina went to London where he joined the Freemasons and became involved with the Comte de Saint-Germain and the creation of an 'elixir of immortal life'. His expertise and his reputation continued to spread rapidly throughout the world and he moved to Paris, quickly to became a favourite of King Louis XVI and the French court at Versailles. Cagliostro went to Rome with his wife in late 1789, again taking up the practice of medicine and séances, but in 1791 the Inquisition arrested him for establishing a Masonic Lodge there. He was imprisoned in the Castle of Saint Angelo in Rome and tried, accused of heresy, magic, conjuring, and Freemasonry. There, Cagliostro was sentenced to death by the Inquisition but his sentence was commuted to life imprisonment in the Castle of Saint Angelo by Pope Pius VI. 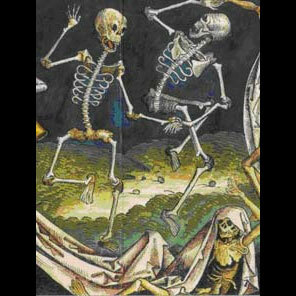 Danse Macabre: Translated as the Dance of Death, recognised in many languages across Europe and seen as an indelible allegory on both the finite nature of mortality and the universality of death. First mentioned in artistic form as part of a fresco in Paris’s Church of the Holy Innocents in 1424, the Danse Macabre usually depicts the personification of death leading skeletal forms of human life, from kings and emperors to the newborn, to their graves in a dire caper. A haunting image created to remind us all of the fragility of existence, and that no matter one’s creed or walk of life, death ultimately unites us all. 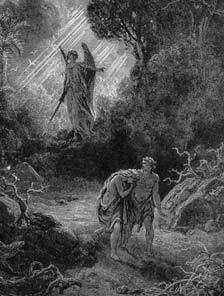 'Deus et Natura': (Latin); Deus et Natura no faciunt frustra ~ 'God and Nature do not work together in vain'. 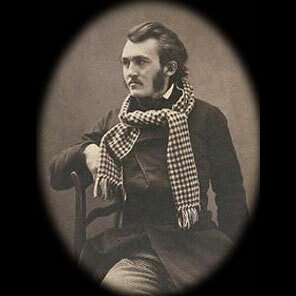 Doré, Paul Gustave, (pronounced Doray): French artist and engraver of the 19th century, famed for his fine, dramatic and passionate illustrations of works by Lord Byron, Edgar Allan Poe’s The Raven, Dante’s Divine Comedy, and illustrated copies of the English Bible, to name but a few. 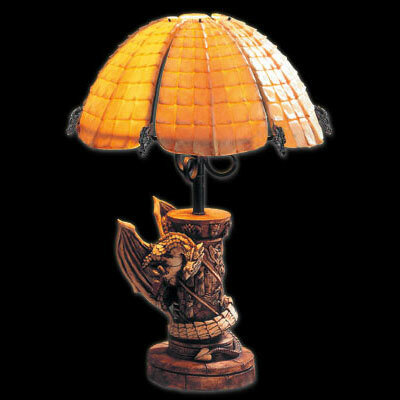 ASL1 The Dragons Tale Table Lamp. 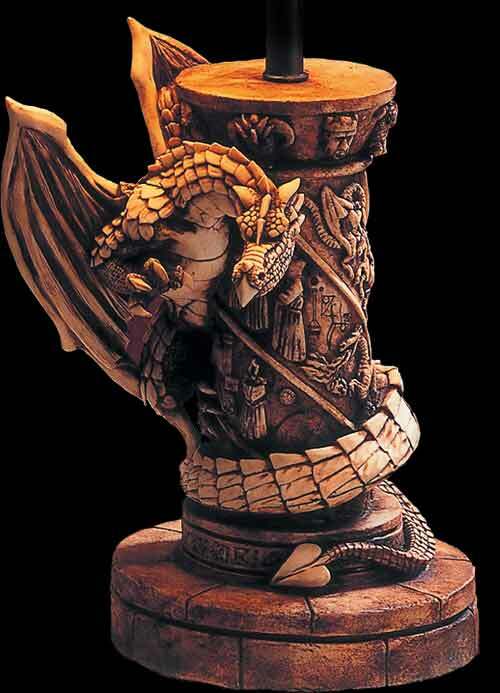 The inscriptions decorating the dragons column represent a mediaeval legend whose roots go back to the times before the great flood. For generations the ancient text could e found in the great history of Alexandria before it was lost beneath the waves. The Alogorical hydroglyphics symbolise alchemical processes first taught to the most enlightened scholars of the first civilizations in the Euphrates valley by the Levant angel, a mysterious and covert messenger of Gods true message. St Levantius' teachings though cloaked in symbols of star lore, dragons and unicorns go far beyond these simple concepts of good and evil. Teach, Edward: The fearsome, archetypal pirate more commonly known as Blackbeard. Operating throughout the waters of the Caribbean Sea during the 18th century, he ruthlessly plundered merchant ships and fought fierce, running battles with the British navy. Legend suggests that he also wore lit matches tied into his beard, the better to intimidate enemies. His reputation as a bloodthirsty pillager is well documented throughout history, and Teach happily revelled in his reputation as a barbarian. 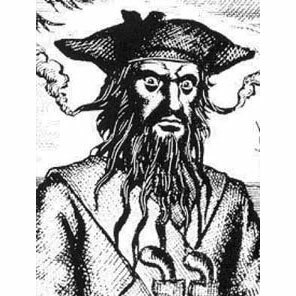 Although he accepted a pardon and eventually retired from piracy, his end came at the hands of Robert Maynard and his men; while fighting the Lieutenant, a naval soldier slit Blackbeard’s throat, severing his head – which hung from the bowspirit of the Adventure thereafter. 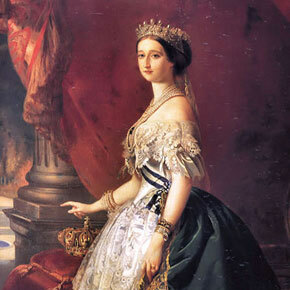 Empress Eugenie: Born in Granada, Spain, Eugénie de Montijo was the last Empress Consort of the French between 1853 and 1871, and husband of Emperor Napoleon III. While their marriage was thought to be questionable due to it being a love match – not arranged for any diplomatic purpose – and she was treated with some contempt by her people, Eugénie proved to be a wise and fair consort, often acting as Regent in Napoleon’s absence. 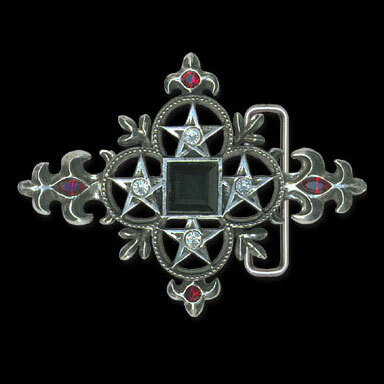 In fact, so enamoured was Napoleon of his wife that he presented her with a lavish wedding gift; the Blue Heart, or Empress Eugénie Diamond. Influencing the trends of fashion throughout Europe, she also proved to be a strong advocate for the papal temporal powers in Italy, which caused her much slander by the anti-clericals of France. After the battle of Sedan and the capture of her husband, Eugénie fled Paris and went into exile, where she lived out the rest of her days.